It’s a new year, new us, we’re making a statement, and it’s caped. 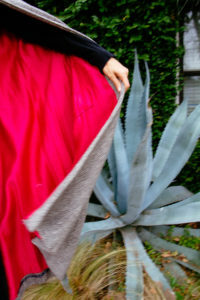 I am a fan of capes (seen here, here, and here) and with gorgeous vintage capes like this pink lined one, I don’t see my love of capes going anywhere! 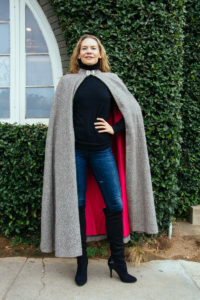 Here’s what I love about capes-they go with anything, are simple yet make statements, effortless and chic. The tweed here with the pink silk lining and those details –neck closure, the pocket–blends sensible with fun. It goes great with jeans and a turtleneck but will go over anything! 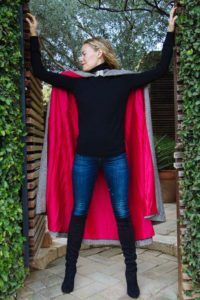 How do you wear your capes? Cape is vintage, shop my picks below! 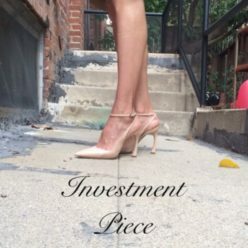 Check out Rent the Runway’s pretty in pink styles!